This contemporary custom home includes 3,800 square feet of living space plus an amazing roof top deck with breathtaking city views. This 3+ Story home features beautiful hickory flooring and incredible finishes throughout with 4 bedrooms and 4.5 bathrooms. The luxurious five-piece master bathroom includes a soaking tub and large walk in closet. There is tons of room to entertain in the fully finished basement as well as the 3rd level bonus room, which could also be perfect for a home office. 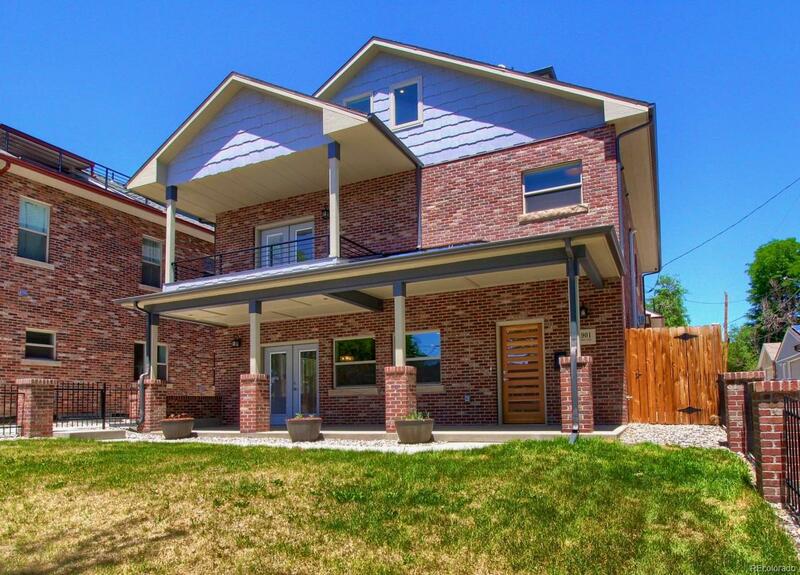 The location simply cannot be beat as this gorgeous home is located near Downtown Denver with easy access to transportation, all the major sports facilities, entertainment, business, shopping centers, as well as Denvers best cuisine. Schedule your showing today, you will not be disappointed!